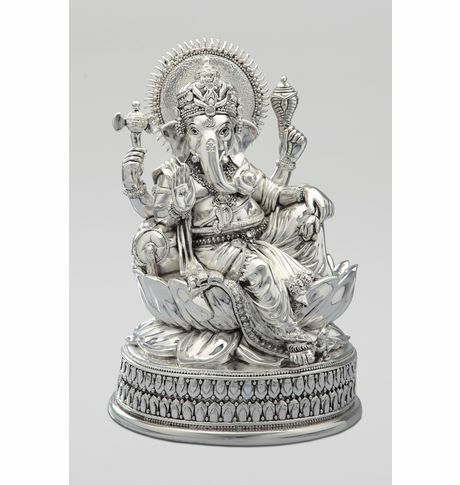 This idol depicts Ganesha as the god of luck and auspiciousness and dispeller of problems and obstacles. The most striking feature of this artifact is the idol of Ganesha on the lotus with decorative ornaments embossed on it. This can be an ideal gift for your loved ones. Electroformed Silver Finish Base Material: Resin. Color:Silver. Easy to maintain.Cancellation and Return Policy: • Exchange allowed post booking • No order cancellation or Refund transaction allowed at the store.